We are proud to present our latest release “Deep House & Disco Tracks” fusing Deep House with Disco and everything in-between with a classy, refined and punchy sound. This sample library contains a stunning selection of 5 full deep’ n disco house construction kits, complete with final mixes, stems, loops and oneshots. 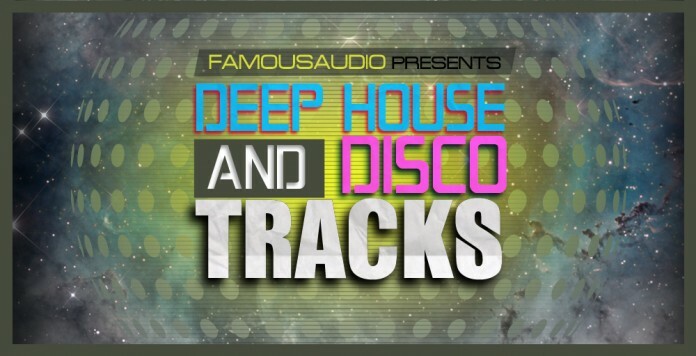 “Deep House & Disco Tracks” is stacked full to the brim of ingredients you need to create your next epic production. So you can mix and match between the kits and use them in many other styles of music..
“Deep House & Disco Tracks” can be used in many genres such as Deep House, Jackin, Garage, Nu Disco, Funky, Tech and More.. This pack is ready to burn it up in your studio! Truly unmissable! !